In addition to the physical benefits derived from the movements and stretches warm water facilitates, Watsu’s power to reduce stress underlies both its effectiveness with those conditions in which stress is implicated and its growing popularity among the general public. 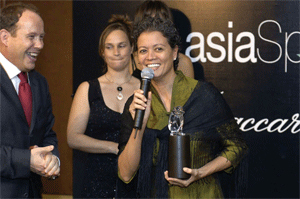 In 1995, Watsu was awarded for “The Spa Treatment Of The Year” in Baccarat Asia Spa Award. See more details at Worldwide Aquatic Bodywork Association. Balances overall circulation and heart rate. 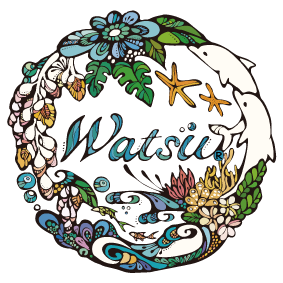 As the only WABA certified school in Japan and representing Watsu Japan, we provide Watsu sessions by the top certified Watsu therapists in Japan. 5-min drive from Ginoza I.C. Price includes Watsu session, rental towel, locker use and the access to Thalasso pool zone (heated ocean pools, jacuzzi and saunas). You are required to wear a swimming cap in Thalasso pool zone. (Not in Watsu pool.) Rental is available for JPY110. Booking is required by the previous day of your appointment. We may be out of the office or in the session and can’t answer the phone. Please leave your message so that we can return your call. Please read the following precautions before signing up for Watsu session. If there’s anything you are concerned about your medical conditions, please check with your physician. Fever, cardiac failure, unstable angina, severely compromised cardiovascular system, excessively high of low blood pressure, significantly limited vital capacity (below 1000 ml), absence of cough reflex, unpredictable bowel incontinence, open wounds, epilepsy, infectious diseases, sensitivity to chemicals used in pool, recent cerebral hemorrhage, diabetes, perforated eardrums, kidney disease, severely impaired ability to regulate body temperature, tracheostomy, deep vein thrombosis, impaired sensation, multiple sclerosis, acute ligamentous, specific joint range of motion precautions following trauma or surgery, autonomic dysreflexia. Please be reminded that Watsu is not a medical treatment and the purpose and the nature of the work is not to cure medical conditions. You are asked to release therapist from liability of any influences to your medical conditions by Watsu session. Watsu is expected in Watsu session? In Watsu sessions, you’ll be floating in the water. The therapist will be fully present to support your experience. You’ll have your eyes closed and ears in the water, free of gravity in a warm ocean water. Therapist moves and stretches with you through the water and we’ll make sure your nose will not be wet and you’re completely safe so you just need to let go of all your holdings and be completely with your non-doing self,. 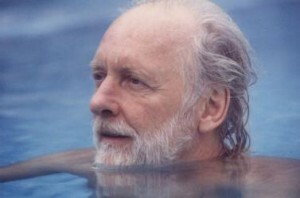 It is like meditation in the water. You are free to use ear-plugs if you are sensitive with sounds. All of our therapists speak English. Please let us know anything you want us to know about your body and mind, such as any pain, recent surgery and any medical conditions if any.